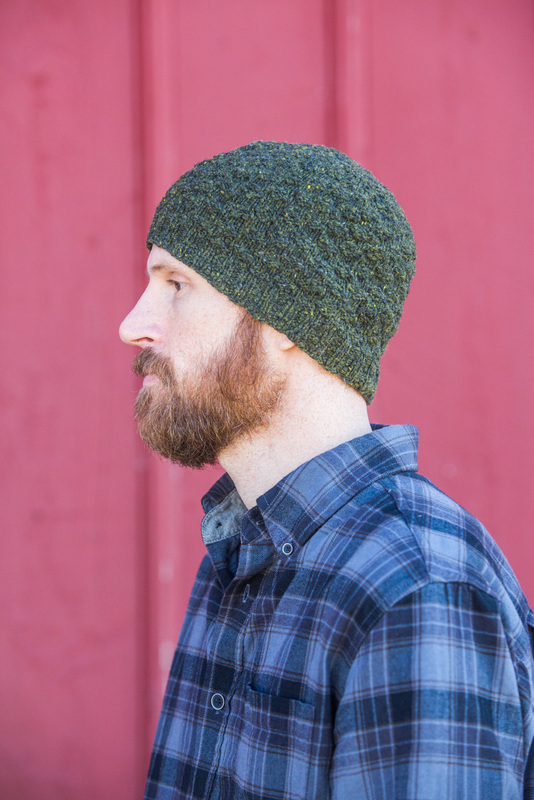 I’m always looking for slim, lightweight hats that look good and work under my bike helmet. 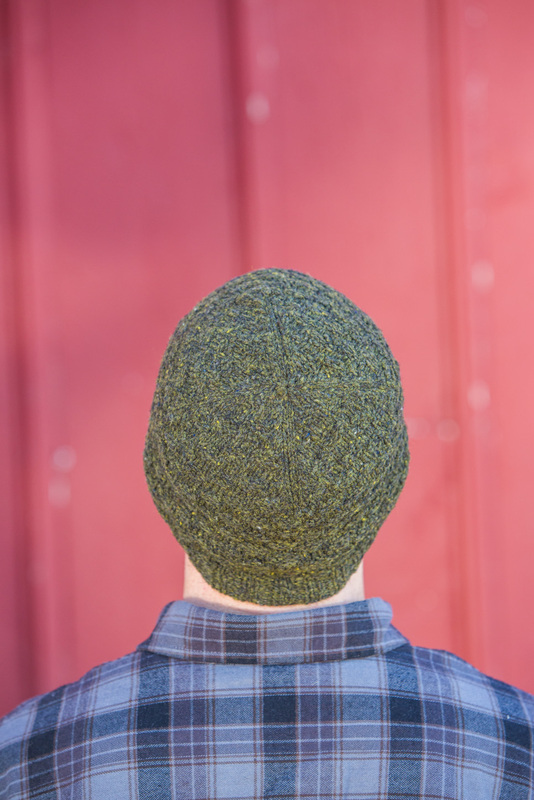 This tweedy, textured toque features an understated waffle-stitch pattern that’s equally fetching on men and women. It’s worked bottom-up with square crown shaping. About 18 1/2 (20, 21 1/4, 22 3/4)” (47 51, 54, 58 cm) circumference and 7 (7 1/4, 7 1/2, 7 3/4)” (18 18.5, 19, 19.5 cm) long. Example A shown on woman in size 18 1/2” (47 cm). Example B shown on man in size 21 1/4” (54 cm). 154 (170, 181, 192) yd (141 155, 165, 175 m) sock weight (#1 Super Fine). Shown here: Brooklyn Tweed Loft (100% Targhee-Columbia wool; 275 yd 251 m/50 g): color Sap (Example A); Artifact (Example B), 1 (1, 1, 1) skein. Size U.S. 3 (3.25 mm): 16” (40 cm) circular (cir) and set of 5 double-pointed (dpn). 22 1/2 sts and 43 rnds = 4” (10 cm) in Dots Textured st.
Read my blog for more info about this pattern.